We recently reminded you about the Kids Bowl Free program & let you how much we love this program, but did you know there is a Kids Skate Free program? They have now offered this program for several years. My kids love to roller skate, so this is a great program to keep them active. This one does not have as many participating locations as the bowling program does, but if you live near one of the roller rinks that offer it you might want to get your kids signed up! It looks like there are two skating rinks (Lynnwood and Spokane Valley) as well as one in Oregon (Springfield area). The details will vary depending on the skate center, but most offer passes for kids who are 10 years and younger, and include standard roller skates. Some allow for an upgrade to inline skates for a small fee. You can check out both of the pages above to find the details of the free skating for kids opportunity, and get signed up. If you’d like to see this program come to your local skating rink, the Kids Skate Free program actually has a letter you can print off to bring to your local rink & share with them about the program. Chances are that they most likely have not heard of it as it’s still a pretty new program & is just slowly expanding to more rinks around the country. 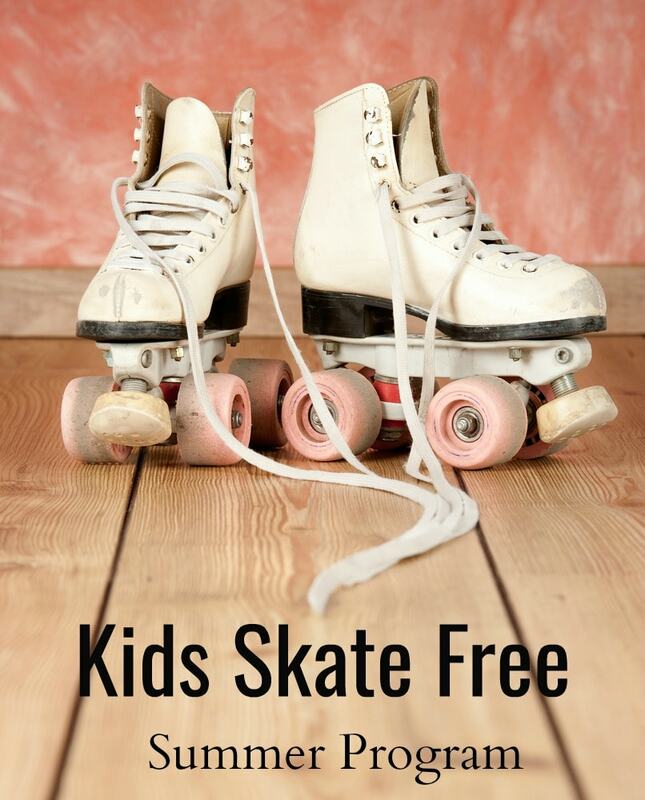 I’ve been signed up for this program for several years and actually have received the Kids Skate Free passes all year long – not just during the summer & it’s a great way to save at the roller skating rink! We currently have 91 skating centers signed up across the country into the KidsSkateFree program. We have over 129,000 children participating in our roller skating program right now and growing larger every day. We will be appearing in Redbook next month. Encourage your local skating center to join if they are not a member!